At 10: 30 p.m., Saturday, January 3, 1959, my father, my little brother Danny and I sat in front of our television as the local news ended and spooky music came on to welcome us to a new series of monster movies called THE HOUSE OF SHOCK. 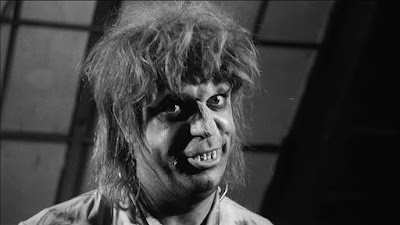 Hosted by Morgus The Magnificent, an Einsteinish hairscientist with frizzy gray-white hair, sunken eyes in a pock-marked face and hideous, protruding teeth, Dr. Morgus introduced a movie about a fellow scientist whose experiment went a little awry. I sat riveted to the floor watching Boris Karloff's FRANKENSTEIN (1931). I was terrified and fascinated. FRANKENSTEIN was the only episode my little brother saw. The following Saturday night, when the spooky theme music came on, Danny ran up the stairs screaming, "Turn it down. Turn it down." This was followed, periodically by shouts, "I can still hear it!" Danny did this every time THE HOUSE OF SHOCK came on until he was too big to fit under his bed with his New Orleans Police gear. He was twenty-two by then. The movie that second Saturday night was DRACULA (1931) with Bela Lugosi at his frightening best. Following Saturday, you guessed it - THE WOLFMAN (1941) with Lon Chaney, Jr. and this one really scared me. 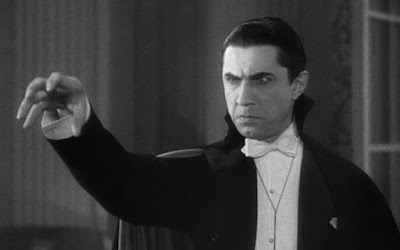 I figured I could stave off Dracula, who only came out at night. I had a crucifix and we have garlic at home (my mother was Sicilian-American). I had to get some wolfbane. Frankenstein I could outrun. But the Wolfman? I couldn't out run him and didn't have a silver cane or silver bullets. I was horrified and thought - at least these monsters weren't in America. But didn't Dracula sail on a ship? Damn. The next summer - we went to Europe. My father was in the army and was stationed in Italy. The wolfman was in Britain with Dracula and Frankenstein was in Germany or ... where the hell was Transylvania. I looked it up in the World Book Encyclopedia. Romania. Looked awfully close to Italy. Along with seeing theatrical movies like THE WAR OF THE WORLDS (1953), JOURNEY TO THE CENTER OF THE EARTH (1959) and THE LOST WORLD (1960), the monster movies on THE HOUSE OF SHOCK stimulated my imagination then and continues. Writers need an active imagination. Glad mine started so young. Love this piece, O'Neil. It really brings back memories. We had something called Chiller that ran on the weekends and the neighborhood kids would gather in someone's house to watch the same movies you mention. And to this day I have fondness for those old Universal horror movies. But my bane (maybe it should be wolfbane) was Dracula. He's the one who scared me the most. I used to sleep with my covers pulled up to my neck cause I figured then he couldn't bite me there. I guess it never occurred to me that if he could get in the second floor window via his powers that he could also pull the covers down :-) . I am with your brother on scary movies. I disgraced myself as a child screaming in a movie when a squirrel was shot and to this day cannot watch Roman empire era films after a flick about the stoning of St. Stephen shown in Sunday School no less. What were they thinking! O'Neil, we used to sit in front of the giant radio and listen to Inner Sanctum. No pictures, but the mind ran wild with imagined pictures. Later, with black and white TV on a Friday/Saturday night when the folks were out, I'd find myself glancing behind the couch during scary movies. There's something about being scared, yet you have to keep on watching. My mother loved horror movies, so we watched a lot of them. Most of them scared the crap out of me. 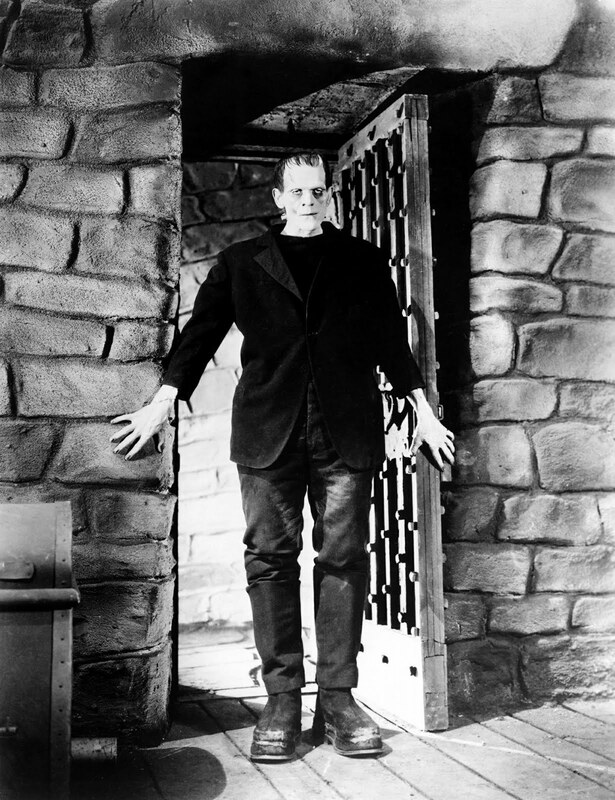 The one that lingered, though, was "Frankenstein 1970", because I figured out that I would still be alive when that one happened, and I was afraid it would be there, waiting for me, on 1/1/70... Took me a while to realize that I'd be old enough to run like hell. When I was a teenager, my friends and I watched horror flicks broadcast on Saturday afternoons by a UHF station. They aren't quite as scary when there's daylight streaming through the windows. Thanks for the remarks, y'all. It's fun to remember and inspirations that start early in life, last a lifetime. My brother Glen loved the monsters. I highly recommend Bob McCammon's mystery novel Boy's Life, which reminded me a lot of Glen.